Knowing what values we hold dearly saves us a lot of time in decision making. 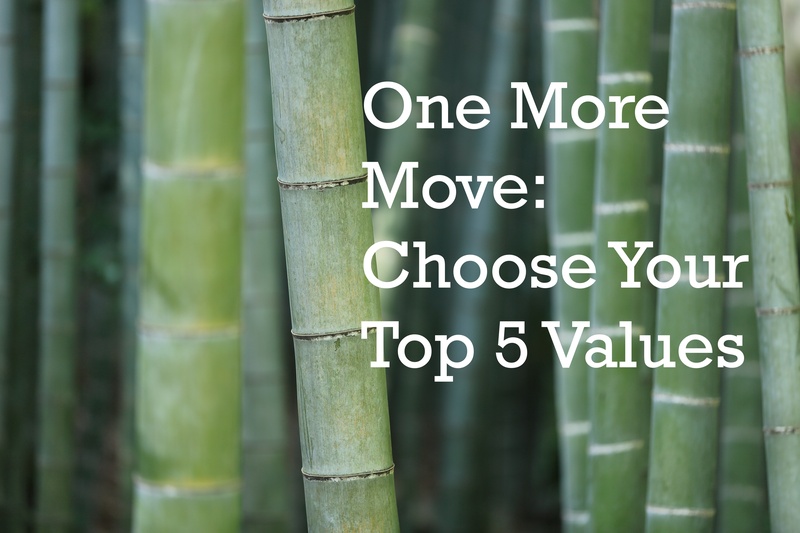 Take a moment one day to set your top five values that motivate you towards your chosen success. One exercise I like a lot was one shared by Warren Buffet. Here are some tweaks to his prioritization system, which focuses on goals versus values. 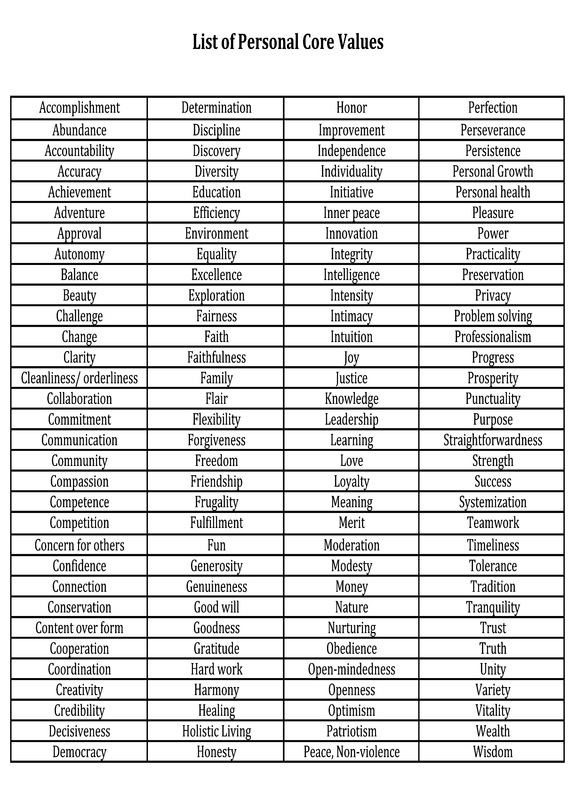 Check out this list of values, that I found on a great blog post. Choose your top 25, then choose your top 5. It’s a simple exercise, but you will build character strength upon completion. So what are your top five values? I ended up choosing: Beauty, Connection, Creativity, Abundance, and Wisdom.